Have you been arrested for DUI at a checkpoint in Orlando? While you may think there is no way around the consequences of a conviction, it is important to understand that you have rights. If police violated your rights in making the stop and arresting you, it may be possible to have the charges dismissed. All Florida DUI arrests begin with a stop. In the case of a checkpoint, the cops will stop you randomly at road blocks just looking for a reason to investigate a person for drunk driving. From there, the officer will typically ask, “Have you been drinking?” You may feel intimidated into answering the question truthfully, even though you have a right to say nothing. From there, the officer may ask you to perform a field sobriety test and/or a Breathalyzer test. Before you know it, the state has enough evidence to charge you with the crime of drunk driving. The Fourth Amendment protects you from unreasonable searches. Police cannot stop you and search your person or your vehicle for evidence simply because they don’t like the way you look. Police may suspect you of drunk driving. But unless police have probable cause that you committed a crime — such as weaving on the road, committing a traffic violation or driving at night with your lights off — police do not have a right to pull you over. If the stop was illegal or if the DUI checkpoint was set up unlawfully then much, if not all, of the evidence gathered after the stop can be suppressed. Without evidence, the state may have to dismiss the charges against you. Let our Orlando, Florida, DUI attorneys determine if law enforcement had probable cause to stop you. At The Umansky Law Firm, our DUI defense lawyers are here to protect your rights if you have been arrested for DUI. We offer a free case review to discuss challenging the DUI stop in Orlando and other communities in central Florida. Schedule a free case review with an Orlando DUI defense attorney at The Umansky Law Firm. 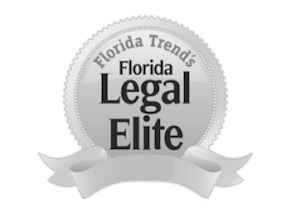 Contact our law office online through our online form or call 407-228-3838.